People who are always trying to please others seldom do. More often than actually their behavior is counter-productive and they end up generating irritation, negativity and anxiety rather than positivity or gratitude. Are you a people-pleaser? If so, there’s a good chance you learnt your behavior at a very young age. The impetus came from your (natural and normal) need to feel and be loved, acknowledged and recognized. If you felt that these needs were not being, met people-pleasing emerged as a survival mechanism. More than that, you may not have been encouraged to love yourself, to please yourself, to show your value and worth, or to trust yourself. So consciously or unconsciously, you choose the strategy of pleasing others, believing that if you did, others would love you back, that they would see your value and worth and validate you when you could not, or did not, validate yourself. The real downside of people-pleasing is that you are giving yourself away – your power, your strength and your emotional and physic energy – by putting others’ wants and needs first. So whereas conscious and healthy relationships are built on a foundation of mutual consideration, the people-pleaser consistently sacrifices their self-responsibility in favor of being responsible to another. But the irony is that trying to care for someone else in a dysfunctional way more often than not backfires. We annoy or aggravate the very person we tried to please and end up becoming angry, resentful and confused when they don’t appreciate our efforts or show gratitude in the way we would like. Put bluntly, people-pleasing is a self-destructive and self-sabotaging way to attract love, recognition and acknowledgement. It never gets us the love and caring we want and deserve – ever. Only when you learn to love yourself, appreciate yourself and nurture yourself just as you are, right here and right now, can you start to eliminate the need to put others ahead of yourself. – Have you ever felt you were a people-pleaser? How did that make you feel? – What does people-pleasing get you that you cannot give yourself? – Do you remember being a people-pleaser when you were young? What was that like? – Do you ever feel guilty or ashamed when you put yourself first? Why? – How do you feel when you do someone a favor and they don’t reciprocate? – What baby step can you take to put yourself first? New Year’s resolutions have been on almost everyone’s minds recently. Thousands of suggestions, “how tos,” and “best ways” are being offered to help folks make and keep their New Year’s resolutions. Sadly, as ever, 98 per cent of those who make resolutions will have given up or failed by Valentine’s Day. 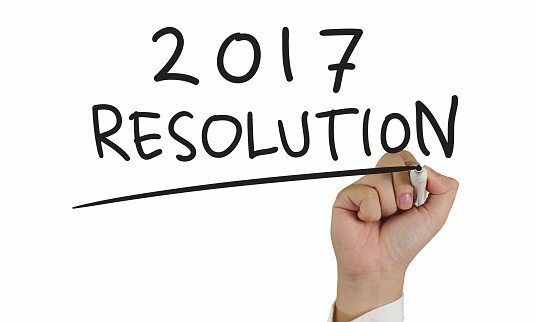 There are three major reasons that our resolutions fail. First, most of our resolutions are “mental” – that is, often they are simply thoughts that are wrapped in a burst of enthusiasm (read: will power) that is ephemeral and short-lived, unsustainable. Second, our intentionality does not come from “inside” – from our heart and soul. And third, we are caught in a “victim mentality” where scapegoating runs our lives. As victims, we’re so obsessed with blaming that we lack the strength to gain clarity about why we resist change or fail to follow through on our intentions. But when we understand the nature of the “victim consciousness,” we gain insight into how real change can occur. The victim is rife with self-limiting and self-sabotaging habits and patterns of living, working and relating. 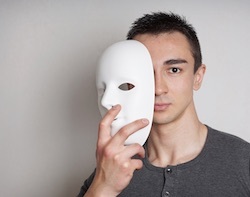 It is these self-limiting patterns that prevent us from doing and being from a place of integrity, responsibility, maturity, accountability and commitment. It is our subconscious drives that cause us pain and suffering. When we look inside, we uncover our shadow self. This self feels victimized, lives a life of greed, ruthlessness, egocentricity, blind ambition, irresponsibility, inaction, and/or self-sabotage. Choosing to reflect and become conscious of these habits and programming in an effort to release them supports us to evolve to a place where clarity and a truthful picture of our inner and outer realities will serve us well. When we look deeply inside and reflect, we become more able to transmute the energies of our self-limiting habits and patterns into the energy of authenticity, integrity and trustworthiness – supported by our inner qualities of courage, commitment and steadfastness. denial that our life choices have positive or negative mental, physical, emotional and spiritual effects on our overall health and well-being, and that an insistence that pain and suffering are caused by some external event or circumstances. Mired in the quicksand of victimization, we find ourselves constantly projecting our anger and negativity on to events, circumstances and others. We project our (unconscious) inner frustration with ourselves out towards anyone or anything we feel we can blame for our state in life. Sadly, we’re actually creating our own world but blaming others because it’s not what we want. Taking time for honest and conscious self-reflection supports us to take responsibility for our self – including our “dark side.” Self-reflection sheds light on the stories we make up to avoid taking responsibility for how we project our stuff on to the world. 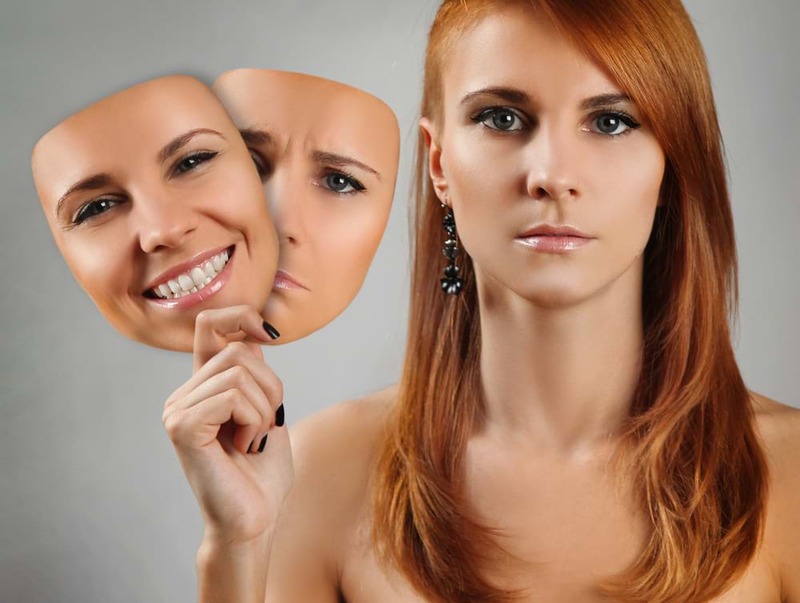 Self-reflection supports us to identify how our emotional programming – anger and fears – shape our lives at work, at home and in our relationships. When we are honest and clear about our wants and needs and what we are willing to do, we can create a solid foundation for our personal growth and development. We attract and relate with others who share the same self-empowering life view. When we understand the lessons we need to learn from our current situation, what we need to do becomes clear. Then we have to choose to take action. However, this understanding requires focus, commitment, consistency and compassion for our self. Spending time in our inner world is both emotionally and spiritually nourishing. This nourishment supports awareness of the “how” and “why” things appear in our lives – how we are creating our personal universe. Time in our inner world nurtures our capacity for self-love and self-kindness – which support us to create and live within a love-based, victim-less personal universe. In this place of safety and protection, we begin to extricate our self from a victim mentality and move forward, from a place of positivity and steadfastness. In our inner world, there can be no victimization as it’s a place of neutrality – a place of soul qualities – clarity, peacefulness, groundedness, stillness, surrender and allowing. Self-reflecting helps us observe how we use our emotions to create our inner and outer worlds, our worlds of victimization. For example, are we being “nice” to accommodate others in our attempt to feel acknowledged, seen and loved or because we authentically wish to engage in adult, heart-felt, mature relationships? Are we holding our physical, emotional and psychological boundaries with others or allowing others to threaten and abuse our boundaries so we can feel wanted and liked? When we surrender to (accommodate) someone else’s agenda, at work, at home, at play and in relationship, we enter their universe as a victim. The important question is why we allow others to control us. Perhaps we lack our own solid and self-confident life agenda; or we aren’t in touch with our heart and soul and we don’t trust ourselves; or we look to satisfy our wants and needs outside ourselves and accommodate and compromise to be taken care of. Or maybe we just follow a path of least resistance in an attempt to avoid conflict and keep the peace. In all of these, we give away our power and become the victim. Inner work and self-reflection, done diligently can often support us to realize our own authority, to assume responsibility for what we create and to own the consequences of our choices, decisions and actions. Inner work and self-reflection can support us to focus on what really matters, to let go of what holds us back, to trust our soul and Spirit for guidance and to use our core, inner strength – not willpower, which hardly ever works – to take positive action for our self instead of engaging in self-destructive and self-sabotaging actions, releasing our self from the stranglehold of victimization. Many resolutions are not conscious choices. They are knee-jerk reactions to something we don’t like about our self – and it’s usually about our packaging or some other surface issue. True resolve requires a deep, inner, and conscious process. The start of 2017 is a wonderful opportunity to change our experience of failed resolutions to one of true and lasting change and transformation. We can choose to release the victim within and see what being in true control of our life is really like. What are my core values and how do they direct my choices and decisions? How do I choose and implement my personal standards? What bright light shines in my inner world? How so? What feelings and thoughts inhabit my inner world? Are they supportive or limiting? How so? Who’s in my personal world? Are they supportive or toxic? Do I want them there? How have I attracted them into my life? Did I (or others in my family) experience being a victim when I was growing up? How? What was that like? (c) 2017, Peter Vajda, Ph.D. and True North Partnering. All rights in all media reserved.